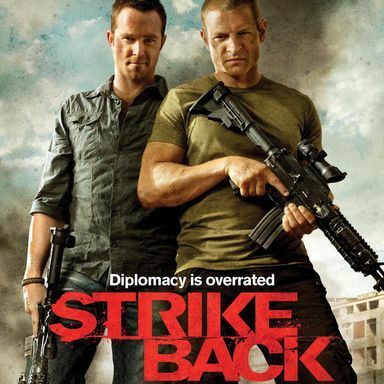 When a resourceful international terrorist group plots an attack, a charismatic former U.S. Special Forces operative joins forces with a stealth British military unit to stop them in the ten-episode action series Strike Back. The team that tracks the terrorists is Section 20, an elite military black ops unit within the British government that focuses on high-risk, top-priority targets. When one of their own is captured and held hostage, the group enlists the help of Damien Scott (Sullivan Stapleton), a former Delta Force operative who is familiar with the terrorists. Although he has good instincts and skills, his cocky style is often at odds with the more formal team, especially the more by-the-book Sgt. Michael Stonebridge (Philip Winchester). Team leader Col. Eleanor Grant (Amanda Mealing) is a smart, tough military leader who is skilled with a gun and diplomacy, but knows when to break a rule or two. First aired May 5th, 2010.